The Keurig B60 Special Edition Brewing System is one of many older Keurig models, but still offers fans of many hot beverages a great way to fix a variety of coffees, tea, cocoa or hot apple cider. This unit offers a removable and easy to fill 48 ounce water reservoir. You can brew beverages in six, eight and ten ounce sizes, and the removable cup tray leaves you space for your large travel mugs. 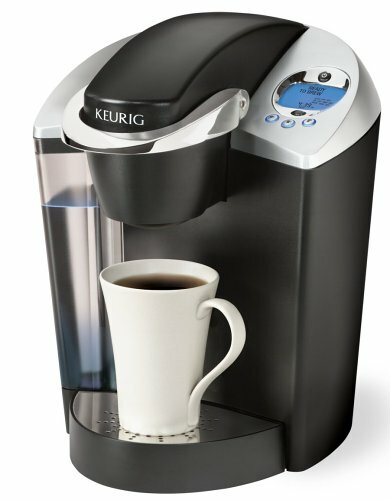 The Keurig B60 features a digital clock and adjustable temperature. 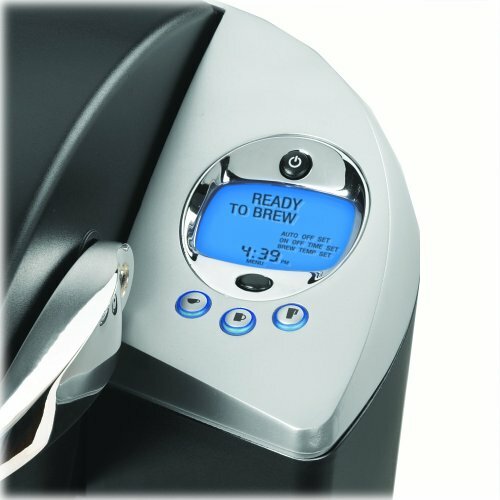 The adjustable temperature settings allow you to heat the water to your specifications for your beverage of choice, and this machine will shut off on its own after two hours, so no worries about damaging the Keurig by running it dry. ​How hot is the water setting? The standard Keurig setting is 192 degrees Fahrenheit / 89 degrees Celsius. To adjust the temperature setting per the Keurig K60 manual, you can lower the temperature but not raise it. Many coffee pots require quite a bit of cleaning on the initial set up, but not the B60. Add water to the reservoir and allow the water to warm for four minutes. Once the small mug light starts to flash, go ahead and run 6 ounces of hot water through the pot. Discard this water, and your Keurig is ready to use! Can I program the Special Edition Keurig to brew a cup before I wake up? Yes! The K60/65 and the B60 Keurig machines can both be programmed to brew a great cup of coffee for you to enjoy first thing in the morning. Once the machine is up and running, the heating delay between one beverage and the next is only thirty seconds. You can prepare a fresh, hot drink for yourself, family and friends with very little delay. Finally, the Keurig packs a lot of brewing power in a small space! It's just over 1 foot tall, and you will need space to work the K-pod loading mechanism. 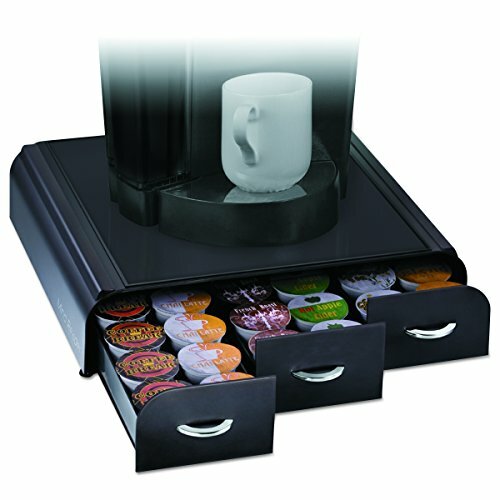 If you want to lay in a store of custom coffee blends or other beverage K-pods, there are additional storage drawers you can purchase to contain several brewing pods. De-Scale Indicator: No matter how diligent you are about using filtered water for your coffee, scale will build up in your machine. Ultimately, scale or mineral build up can destroy a great coffee pot. Luckily, your Keurig special edition will let you know when it's time to clean away the scale so you can get back to making great coffee. Three Brewing Sizes: Whether you're always on the go with a large travel mug or savoring a quiet cup at home, your coffee will be brewed to your specifications and volume needs. Mornings are easier with the right amount of coffee to get your brain moving! Dishwasher Safe Parts: You don't have to wonder or worry about what can go in the dishwasher and what can't. Cleaning up your Keurig is a breeze. Reservoir Capacity: Once you've got this terrific coffee pot and have built a stock of K-pods, 48 ounces may not be enough! If you envision yourself constantly checking the reservoir to make sure you're not running the machine dry, check out the Keurig K60/K65 coffee pot with the 60 ounce reservoir. Filtering Water: If you don't have a filtration system or pitcher, scale can become a serious challenge. This grayish-white product builds up on parts, seals and spigots and wreaks havoc with the precision mechanism built into your Keurig. 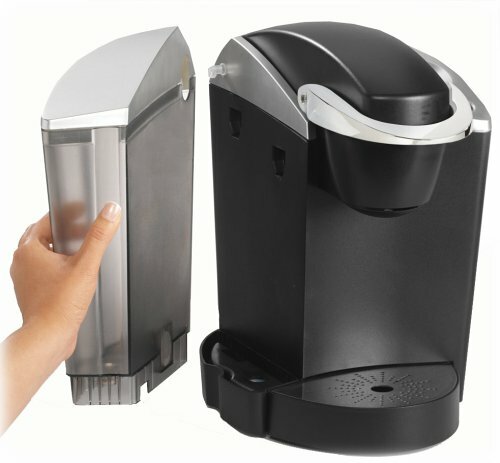 For people with extremely hard tap water, the Keurig K60 special edition may be a better fit as this unit includes a Keurig filter kit. Mocha and Hot Chocolate: The chocolate powder in the K-cups can get very sticky and thick. Once you've brewed hot cocoa, you might consider running a small cup of plain hot water through the machine to clear any chocolate residue. How often do I need to change the filter on the K60/65? The K60 water filter is a charcoal filter that sits in the bottom of the reservoir. It's easy to change and should last between three and four months. How do I de-scale my Keurig? Add vinegar to the water in the reservoir and run through several cups. A good ratio to start is 1/3 vinegar to 2/3 water. Then pull the reservoir, wipe it out and run plain water through to get rid of the vinegar smell and taste. The Keurig B60 and K60/65 are ideal machines for households that have a single coffee drinker, but they also work great for households that have tea drinkers and cocoa fans. The wide variety of K-cups available and the chance to make your own refillable pods, makes these versatile coffee pots able to brew a variety of beverages. If your standard daily coffee needs don't require several cups at once, a Keurig can be a great addition.